I love all of these kid’s magazine subscription deals we have been getting! Today only, subscribe to Turtle Magazine for only $9.98 per year ! You can order up to 4 years at this price! Just enter coupon code FREEBIES2DEALS at checkout.� This is normally a $19.00- $25.00�Subscription! 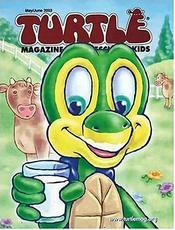 Turtle Magazine is for kids ages 2-5. Each issue has easy to read stories and teaches kids about the alphabet, counting, shapes, colors, and other early learning concepts. This magazine subscription is filled with games, drawing activities, and other fun challenges that help develop hand-eye coordination. Turtle provides hours of fun and encourages children to learn.